Road/Kill is looking to get its first expansion. It's called Vendetta and it brings a whole new style of play to the game. In the book, you'll find rules for infantry and drone support, as well as team play. Go into the arena as one of four factions and test both your mettle and your metal. The expansion book is up on Kickstarter now. 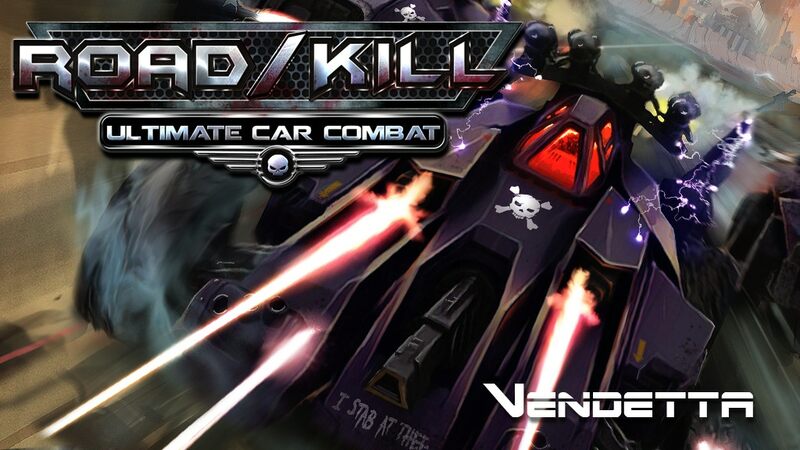 Road/Kill is a tabletop miniatures game of futuristic car combat featuring highly detailed modular design vehicles at about a 12mm scale. Vendetta is the first expansion of the game, focusing on team-based skirmishes with infantry and drone unit support. Vendetta rules and models introduce four unique factions, each led by a powerful warlord, with arena-style scenarios for them to battle it out in the wastelands. The Kickstarter campaign is up and running now. It's set to go for another 23 days.